Life and Labor in a Corporate Community: An On-Line History of the Endicott Johnson Corporation is a WWW exhibition and resource site focusing on the history of one of America's largest shoe and leather manufacturing firms -- a pioneer in the business reform movement that has come to be known as "Welfare Capitalism." It explores the work and family lives of the tens of thousands of men and women who worked at the Endicott Johnson Company and its industrial predecessors from the mid-19th century through the latter half of the 20th century. 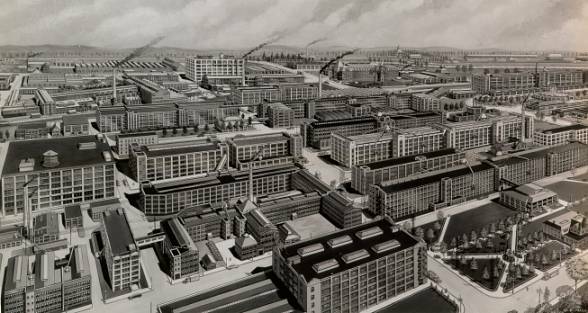 The many textual, aural, and visual resources on this site also delve in detail into the paternalistic practices of the Company from the late 19th century through the 1960s. The exhibit is based on the work of University at Albany professor Gerald Zahavi, with media and document sources coming from: filmmaker Brian D. Mauriello (Mauriello graciously contributed some of the video clips that will be available soon on this site); the New York State Archives; the Special Collections Research Center at the Syracuse University Library; David Nielson (now deceased); the Roberson Museum and Science Center in Binghamton; and Zahavi's own photo, oral history, and document collections. Additional sources are individually identified. The exhibit will be installed in stages. The Endicott Johnson Corporation: 19th Century Origins [From unpublished dissertation; revised and updated].